Right now, I'm so in love with creating shaker box cards and today I'm sharing a new one that I just created using a new stamp set I just got! I have been wanting the LLD Perk Up Stamp Set and I finally got it about a week ago as a birthday present to myself. 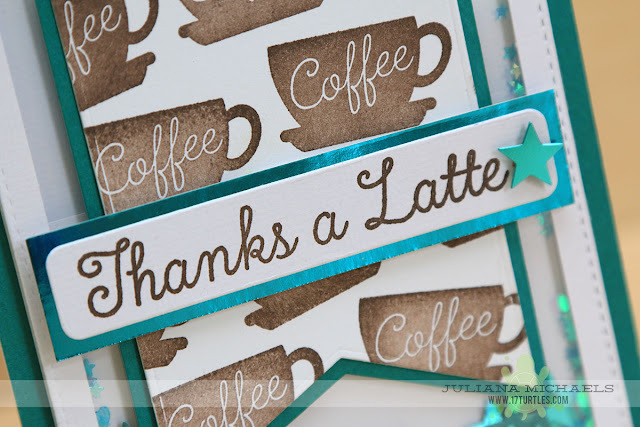 I love all things coffee, so this set is right up my alley! 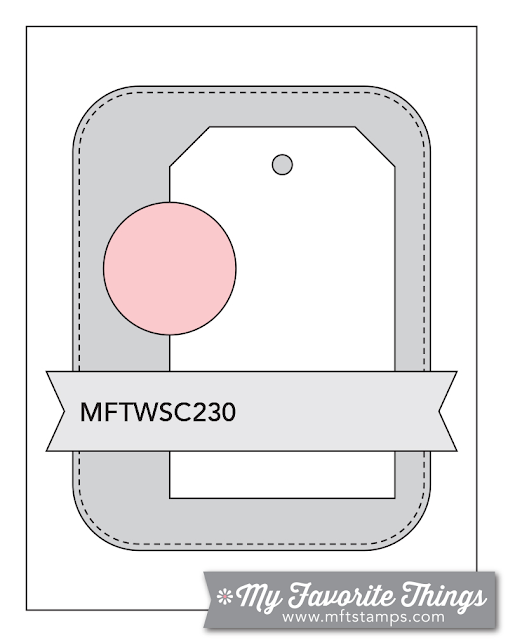 I was inspired by the current MFT Stamps Sketch Challenge. Love the sketch and the projects shared by the DT are so amazing! I had a great time creating my own patterned paper by repeatedly and somewhat randomly stamping the cute coffee cup from the stamp set. I also had fun playing with some foil paper from my stash. I love the little bit of bling it adds to the card and I thought it helped repeat the bling from the sequins that are inside the shaker box. The contents of the shaker box includes a variety of star and heart shaped sequins. 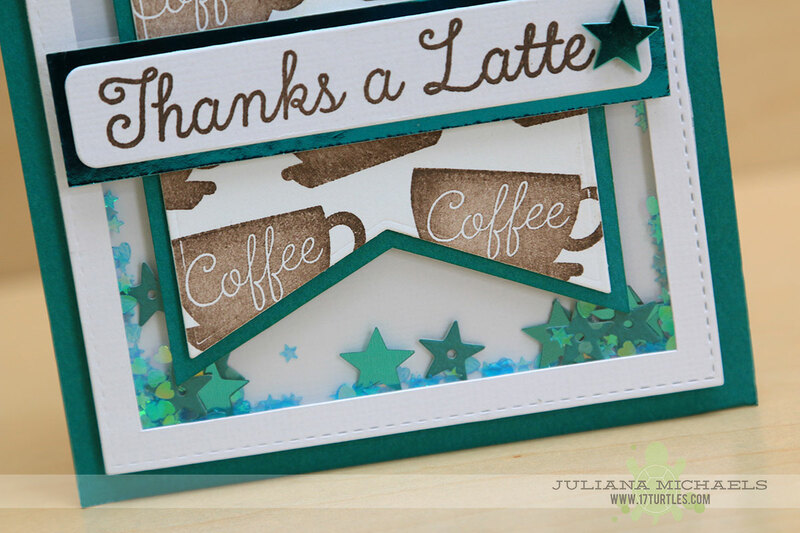 I also added some star die cuts that I cut out using the MFT Die-Namics Blueprint 24. Thanks so much for stopping by today! Do you have any favorite challenge sites that you like to play along with? I'd love to learn about them! 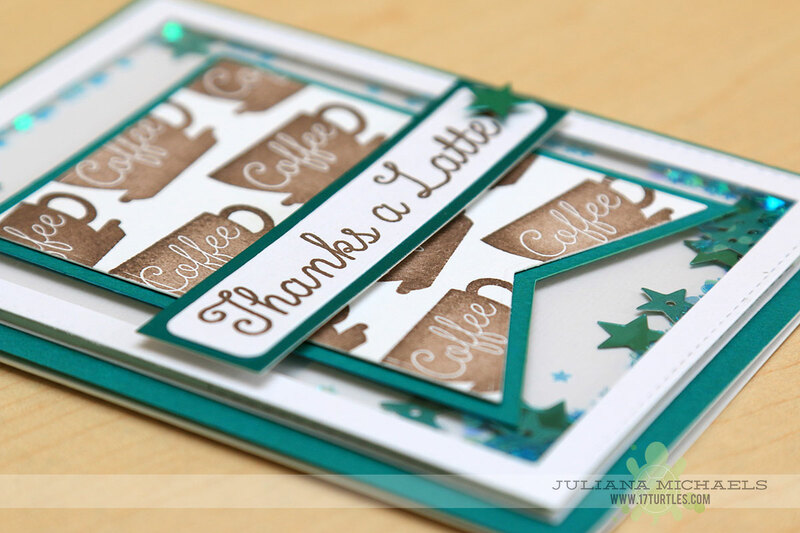 Juliana, I LOVE it...what an awesome shaker card! Super cute card! 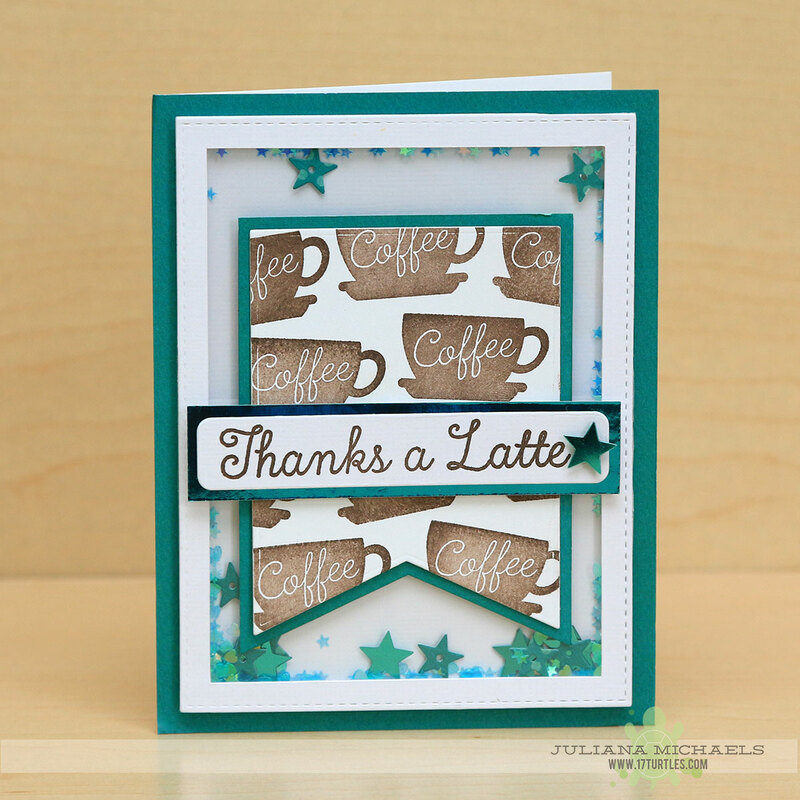 Love that it's a shaker card!